The closer a shopper gets to point of sale, the harder it is to differentiate your brand. How do you stand out from competing brands on the shelf? Packaging offers a more or less level playing field, and competing on price is a game nobody wants to play. Shoppers are already naturally inclined to use mobile as an integral part of the shopping process (typically through search and 3rd party review sites). A prominently featured mobile call-to-action on packaging or signage is an easy and relatively inexpensive way for the brand to control part of the in-store narrative. In addition to other in-store activations like easy-to-type vanity URLs, Near Field Communication (NFC), or promoting a native app, one option is to employ a text SMS keyword connected to a premium short code. Unlike other calls-to-action that require the consumer to first seek out and install a native app on their device (i.e. QR codes or iBeacon), SMS involves minimal friction and involves an already-habitual mobile behavior (sending a text message). 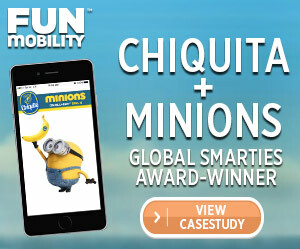 For Chiquita’s award-winning “Minions Love Bananas” in-store campaign, FunMobility used both a vanity URL (www.minionslovebananas.com) and an SMS keyword (CHIQUITA) to drive shoppers to branded in-store content. 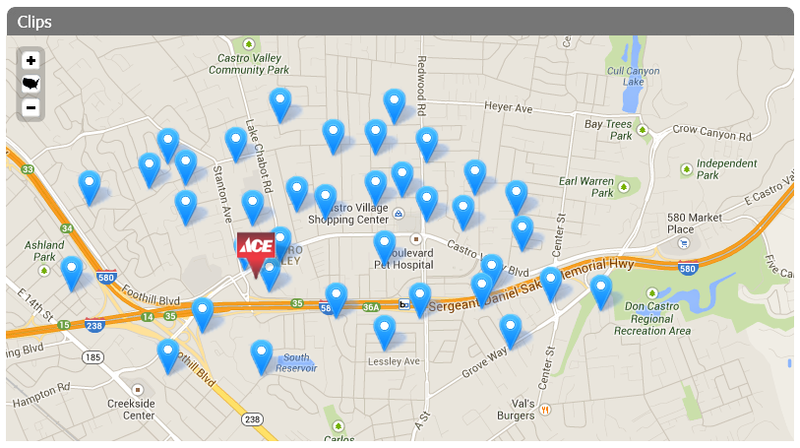 But once you’ve decided on a trigger for in-store marketing activation, what to deliver? What content works best in the in-store context? 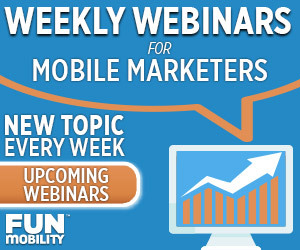 When it comes to reaching your mobile audience, marketing agility is key. Keep the content light-weight and minimize the number of actions you require the shopper to take. On average, you’ll lose a full 90% of your audience for each additional action they have to take in a digital campaign. And remember, even if the mobile content loads quickly and beautifully on your wifi-connected device when you’re testing it at the office, it may not load that well for someone using cellular data in a cavernous retail space. Don’t sacrifice load times to deliver overly-dense and beautiful content. According to Time, the average American attention span is now just 8 seconds. When people are on their mobile devices in the middle of a shopping trip,a it’s safe to assume that their patience runs even shorter. Deliver gratifying content right then and there, in the form of money saved, prizes won, and interactive entertainment. 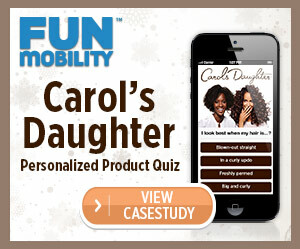 Not only did this solution provide valuable audience insight, but the personalized coupons available at the end of the quiz saw nearly 5 times better redemption than ordinary mobile coupons. Adobe’s 2015 Digital Trends Report polled thousands of marketing professionals, and the big takeaway was that “Consumer Experience” is going to be the primary focus for marketers in 2016. This ties back to that short consumer attention span: you’ve got to offer immediate, obvious value to the user in return for their attention. Otherwise, forget about it. The age of the entitled advertiser is over. The consumer now holds more power than the brand, and she knows it. There’s too much noise and too many choices out there for marketers to think that consumers will come to them, so make sure you can offer a seriously compelling call to action that makes them want to come to you.